Download Full ACE National Portfolio list for 2018-22, across artforms here [.xls]. Shows amounts awarded, previous awards as appropriate, percentage increase or decrease, and region where the organisation is based. 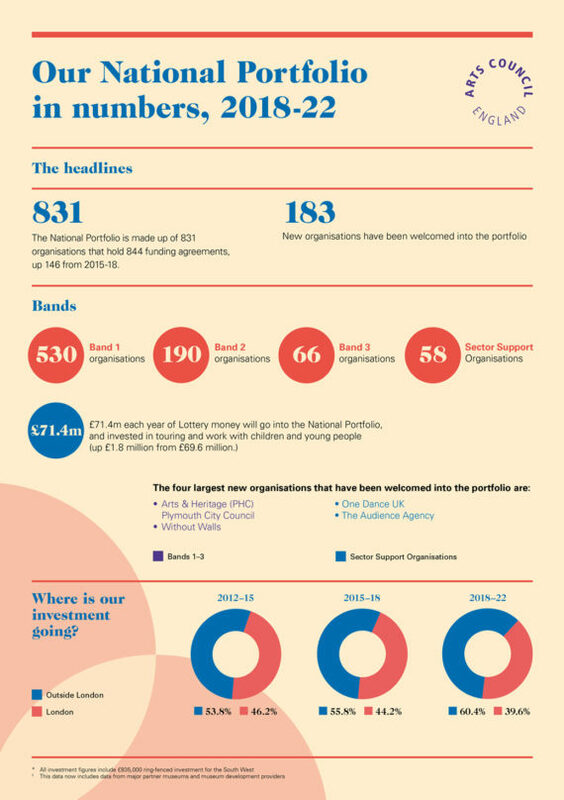 For extra summary information see ACE NPO factsheet below.